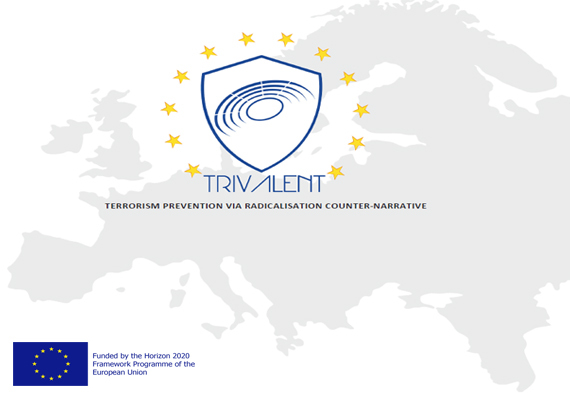 TRIVALENT project aims to a better understanding of root causes of the phenomenon of violent radicalisation in Europe, through a multidisciplinary analysis leading to a comprehensive approach, on the assumption that to contrast successfully violent extremism it is needed a more balanced response combining repressive with preventive measures. The TRIVALENT consortium reflects such an attitude by combining it with a balanced team of experts in several different aspects related to the project topic, such as: . Radicalisation processes and violent groups; . Radical narratives and counter-narratives; . Policies to tackle radicalisation; . Semantic analysis of online content; . Development of IT tools; . Skills and competences for LEAs. 5 University Centres/Departments: from 4 EU countries (1 from Belgium, 2 from Italy, 1 from Spain, 1 from UK); 11 LEAs: 10 from 6 EU countries (1 from Belgium, 3 from Italy, 1 from Latvia, 3 from Poland, 1 from Portugal, 1 from Spain) and 1 from EU candidate country (Albania); and 5 technical partners with a multidisciplinary expertise: 4 from 3 EU countries (1 from France, 2 from Italy, 1 from Spain) and 1 from a non EU country (Israel). The growing number of episodes of terrorist violence in Europe, increasingly perceived by the public opinion as a lingering threat, alongside the crisis of the integration models coupled with intolerance and xenophobia, pose a series of new challenges to European institutions and Member States in terms of internal security, cohesion and social stability. To address and successfully contrast those challenges - originating from a plurality of contexts and environments - it is necessary to develop responses that combine appropriate repressive measures with innovative preventive practices based upon the analysis and management of the causes and manifestations of radicalisation phenomena. Mandatory is the close collaboration amongst all the actors involved: universities and research centres, law enforcement agencies, experts, policy makers, civil society organisations, and representatives of the communities affected by the ongoing radicalization processes. 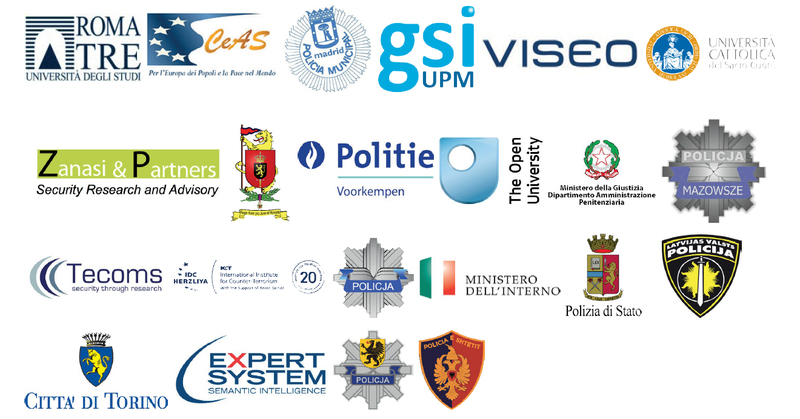 To this purpose, with the firm commitment to promote integration, inter-cultural dialogue, respect of fundamental rights and to contrast any form of discrimination, the TRIVALENT project aims - in particular on the basis of a comparative and multidisciplinary study of the radicalisation phenomena at the European, national and local levels - to contribute to the development of multi-dimensional early warning models, together with counter-narrative strategies and appropriate tools that could help policy-makers for the development of effective policies capable of making security a public good at the basis of every peaceful coexistence. On the assumption that to successfully contrast violent extremism it is needed a more balanced response, combining repressive with preventive measures, TRIVALENT project aims to a better understanding of root causes of the phenomenon of violent radicalisation in Europe, through a multidisciplinary analysis leading to a comprehensive approach, based on a firm commitment to respecting fundamental rights, promoting integration, cultural dialogue and fighting discrimination, in order to develop appropriate countermeasures, ranging from early detection methodologies to techniques of counter-narrative, involving LEAs together with academics, experts and civil society actors at local, national and European level, in collaboration also with communities of reference. The project proposes to tie up prevention and protection together in a comprehensive strategic approach to countering violent radicalisation with a view to join efforts between scholarly teams, LEAs partners, experts, civil society actors, and representatives of the interested communities, in order either to improve professional skills and to raise up a greater awareness and sense of participation on the side of all the quarters involved. Considering society on the whole, TRIVALENT will give a better understanding of radicalisation processes, thus supporting the adoption of sound behaviours by citizens when facing these phenomena. One of the main aims of TRIVALENT is to create a new cooperation model between LEAs and the civil society, in order to remove the preconceptions currently widespread and to encourage a constant communication on potentially dangerous situations.